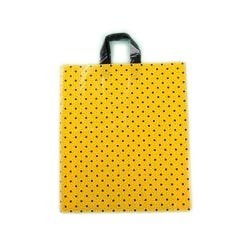 We manufacture high quality Printed Plastic Carry Bag which is available in standard sizes for commercial uses. Our products are made of fine plastic materials which are sourced from certified vendors. These can be personalized with company names and logos. Our products are high in demand and are commonly supplied to several clients at leading market price range.